Experts generally agree that you can plan on some annual expenses, such as repairing gutters, caulking windows, sealing your driveway and the myriad other maintenance chores that come with the privilege of homeownership. Newer homes will cost less to maintain than older homes. It also depends on how well the house has been maintained over the years. A standard ratio used by lenders limits the mortgage payment to 28 percent of the borrower's gross income and the mortgage payment, combined with all other debts, to 36 percent of the total. The fact that some loan applicants are accustomed to spending 40 percent of their monthly income on rent -- and still promptly make the payment each time -- has prompted some lenders to broaden their acceptable mortgage payment amount when considered as a percentage of the applicant's income. Other real estate experts tell borrowers facing rejection to compensate for negative factors by saving up a larger down payment. Another number lenders use to evaluate how much you can afford is the housing expense-to-income ratio. It is determined by calculating your projected monthly housing expense, which consists of the principal and interest payment on your new home loan, property taxes and hazard insurance (or PITI as it is known). If you have to pay monthly homeowners association dues and/or private mortgage insurance, this also will be added to your PITI. This ratio should fall between 28 to 33 percent, although some lenders will go higher under certain circumstances. Your total debt-to-income ratio should be in the 34 to 38 percent range. The lender should apprise you of current requirements at your first appointment. 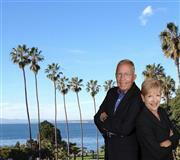 A real estate agent is a good source for finding out the status of the local housing market. So is your statewide association of Realtors, most of which are continuously compiling such statistics from local real estate boards. For overall housing statistics, U.S. Housing Markets regularly publishes quarterly reports on home building and home buying. Your local builders association probably gets this report. If not, the housing research firm is located in Canton, Mich.; call (800) 755-6269 for information; the firm also maintains an Internet site. I keep up to date records on all our local areas and can furnish you with all the data you need to make an informed decision. Bankruptcies and foreclosures can remain on a credit report for seven to 10 years. Some lenders will consider an borrower earlier if they have reestablished good credit. Today the lending situation is changing to the favor of borrowers who have experienced problems during the recession. Prior short sales are not an automatic rejection anymore, check with each individual lender as policies vary. The circumstances surrounding the bankruptcy can also influence a lender's decision. For example, if you went through a bankruptcy because your employer had financial difficulties, a lender may be more sympathetic. If, however, you went through bankruptcy because you overextended personal credit lines and lived beyond your means, the lender probably will be less inclined to be flexible.